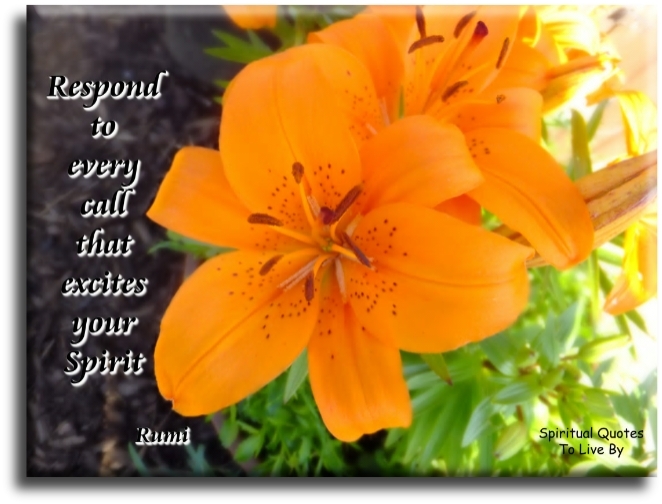 Rumi quotes are from the Persian poet and Sufi mystic Jalal Uddin Rumi (1207 - 1273). 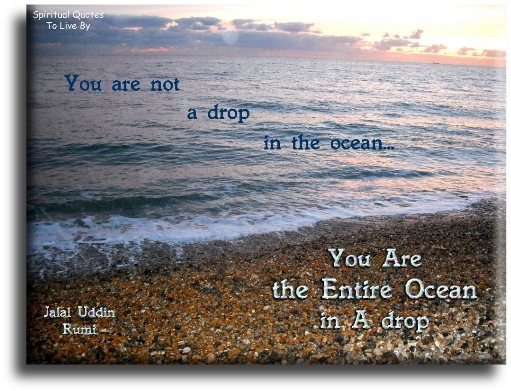 I had never heard of Rumi before starting this website, but now these Rumi quotes are among my favourites, his words of wisdom and love are just as relevant today as they were in the 13th Century. A heart filled with love is like a phoenix that no cage can imprison. All creation is Him, but for eyes that can see. Always search for your innermost nature in those you are with, as rose oil imbibes from roses. As you start to walk out on the Way... The Way appears. Be a lamp, or a lifeboat, or a ladder... Help someone's Soul heal. Close both eyes and see with the other eye. Go my friend... Bestow your love, even on your enemies. If you touch their hearts, what do you think will happen? 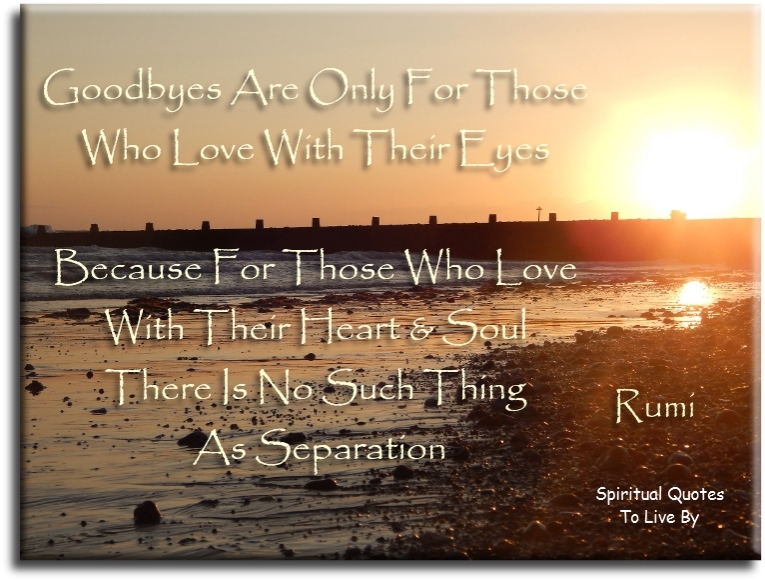 Goodbyes are only for those who love with their eyes, because for those who love with their heart and Soul, there is no such thing as separation. If the house of the world is dark, love will find a way to create windows. If you find a trusted friend, tell him the secrets of your Soul, if you see a rose, sing from your heart, like a nightingale. In the garden.. I see only your face - from trees and blossoms. I inhale only your fragrance. Let the beauty we love, be what we do. Let yourself be loved, O Beloved, in the One. And from this One move out into the world, carrying within you the great potent energies of life to green your world, to create planets, suns, stars, stones, waves, oceans, to create new forms of life and expression - whether a friendship, a feeling or a new form of vocation. Listen my love, illumination is eternal. As there are billions of stars, there are billions of steps. As there are billions of souls, there are billions of ways to grow. Listen with ears of tolerance. See through eyes of compassion. Speak with the language of love. Look for the answer inside your question. 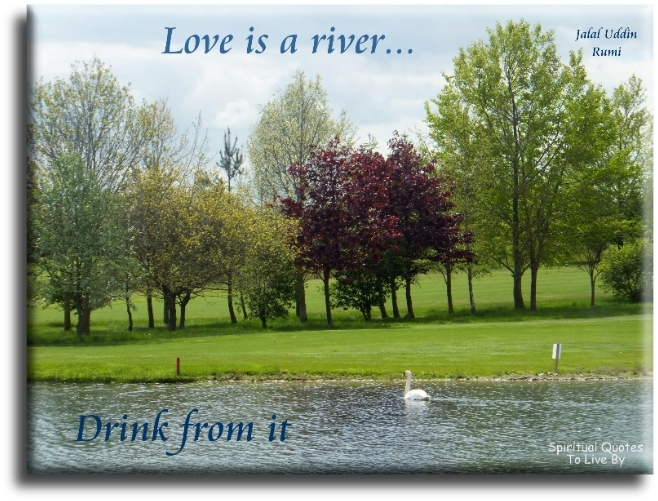 Love is a river... drink from it. Love is the Soul’s light. Maybe you are searching among the branches for what only appears in the roots. Only from the heart - can you touch the sky. Set your life on fire.. Seek those who fan your flames. The breeze of dawn has secrets to tell you. People are going back and forth, where the two worlds touch. The door is round and open. Don't go back to sleep. The message behind the words is the voice of the heart. 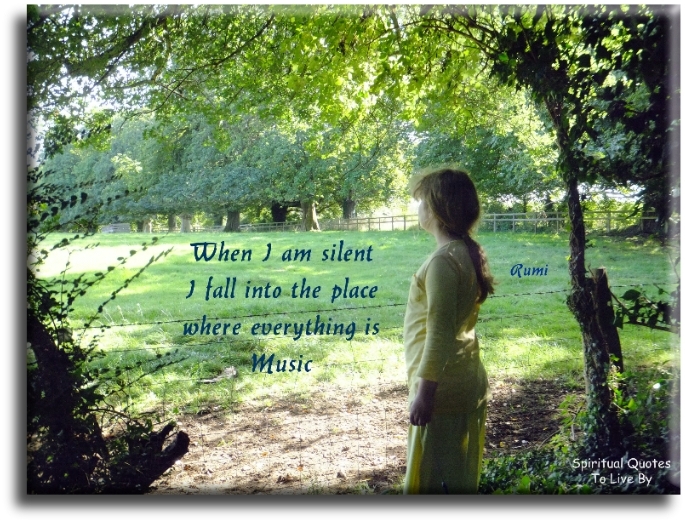 We rarely hear the inward music, but we’re dancing to it nevertheless. What comes will go. What is found, will be lost again. But, what you are is beyond coming and going and beyond description. You are it. 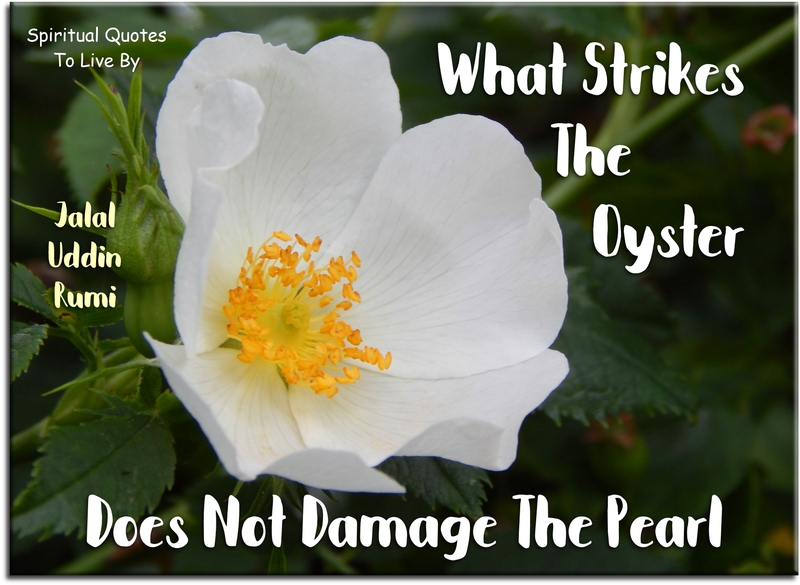 What strikes the oyster does not damage the pearl. Whatever happens... just keep smiling and lose yourself in love. When you seek love with all your heart... you will find its echoes in the Universe. Whoever has parted from his source longs to return to that state of union. Why are you knocking at every door? Go, knock at the door of your own heart. Yesterday I was clever so I wanted to change the world. You already have the precious mixture that will make you well. Use it. You are searching the world for treasure... but the real treasure is yourself. You wander from room to room hunting for the diamond necklace that is already around your neck. Your thoughts are a veil on the face of the moon. That moon is your heart, and those thoughts cover your heart. So let them go, just let them fall into the water.